LEGO Creator 10242 Mini Cooper in-hand Review! Well, then! This "Expert" stamped LEGO Creator set is quite rather amazing! This is LEGO saying, "See, we can do really advanced builds, too, quietly showing up many a MOC maker with a display of exemplary skill. It's not just the look & quality of this Mini that gets me. It's how easy it is to build via the instructions. A large portion of the best-received community custom builds require three hands and a rare planetary alignment to assemble, and sneezing in the same room can necessitate a one-hour parts readjustment process. Though marked "16+ yrs," this LEGO model could surely be put together by a patient child, and it's sturdy enough to be properly played with. I could argue that this is the single best LEGO set of the past year, all factors considered. 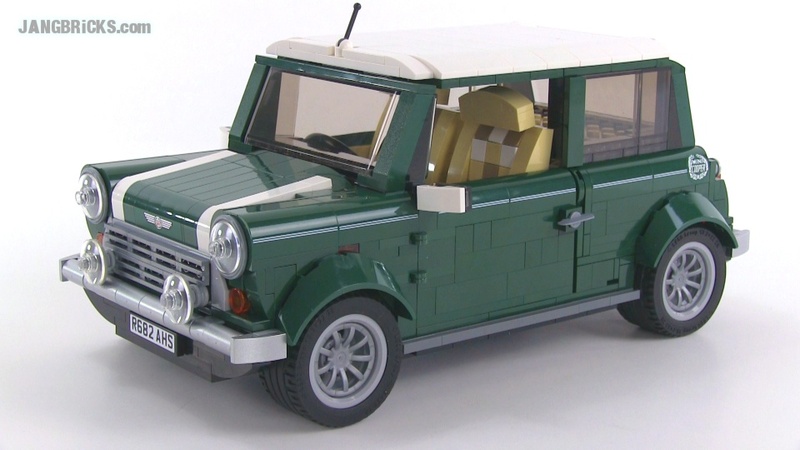 Video: LEGO Creator 10242 Mini Cooper in-hand Review! Awesome, just awesome! I am going to have to pick this one up for sure. Good job Lego! I hope they make many more.